In recent years warming ocean temperatures caused by climate change have been devastating coral reefs around the world. 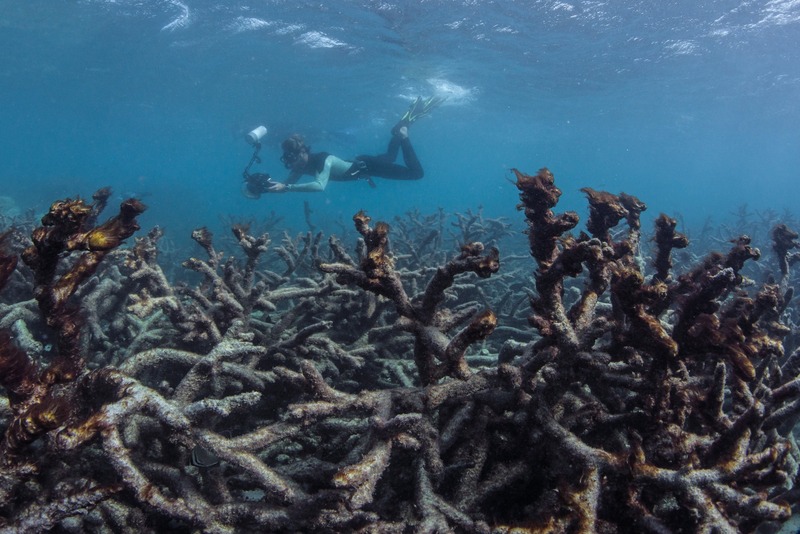 In places like Australia’s Great Barrier Reef (one of the Earth’s largest living structures), warming events in 2016 and 2017 killed half of all coral in this magnificent ecosystem. There’s still a lot that scientists don’t know about coral resiliency and adaptation but research has shown that some coral may be able to “outrun” warming waters. As Scientific American explained, a team of researchers studying fossils in Daya Bay, just northeast of Hong Kong in the South China Sea found that during periods of warming in the distant past, coral reefs migrated away from equatorial warm waters to the bay’s more hospitable subtropical latitudes. The discovery that coral can seek refuge in cooler waters isn’t new but using the fossil record can help scientists better pinpoint regions where migration has previously occurred and perhaps offer some insight into how some coral may respond to this period of human-caused warming. Corals are incredibly complex and diverse organisms and even within a single region, different species of corals can have drastically different adaptation abilities. Why This Matters: As the IUCN explained, coral reefs harbor the highest biodiversity of any ecosystem globally and directly support over 500 million people worldwide, mostly in poor countries. Losing coral would be an unimaginable loss and would have ramifications that we’re probably not yet aware of. Evidence suggests that we may lose 90% of coral by 2050 and this underscores not just the need for us to take drastic action to slow climate change but to also invest resources into studying how humans can help corals better adapt to a warming planet. Go Deeper: Read more about the debate scientists are having amongst themselves if sunscreens containing oxybenzone should be banned as the chemical has been known to damage coral.